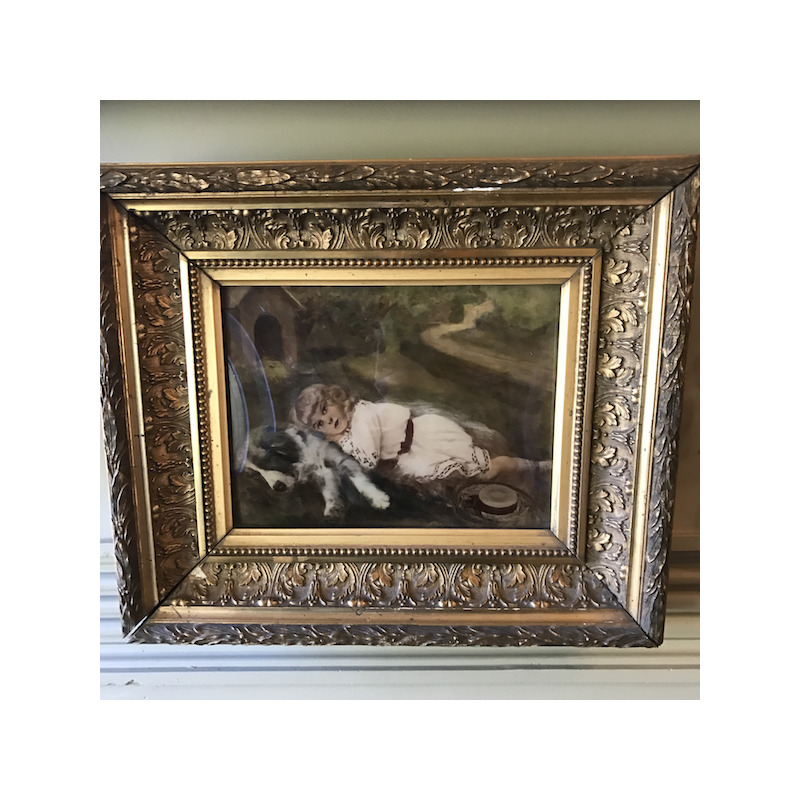 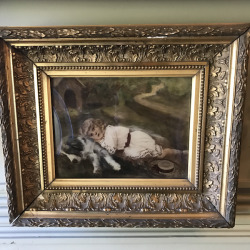 C1900 Painting with Girl and Dog. 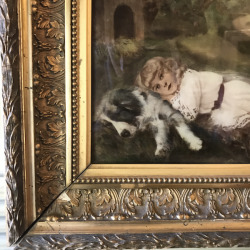 C1900 Painting with Girl and Dog. 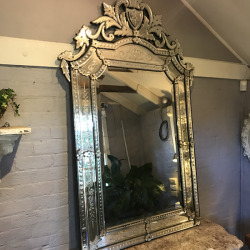 Measuring at 400 x 330.